The U.S. District Court, Eastern District of Missouri, today published an order dismissing the government's’ forfeiture complaint against the Ka Nefer Nefer mummy mask. The Egyptian artifact is located at the St. Louis Art Museum (SLAM). The government filed a claim in March 2011 to forfeit the 19th Dynasty Egyptian mummy mask of a noblewoman from SLAM, alleging that it was stolen from Egypt. 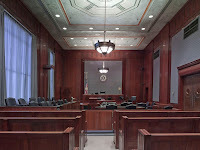 Judge Henry Autrey brought the government’s case to a halt after concluding this past Saturday that the federal attorneys failed to specifically articulate how the mask was stolen and smuggled, or how it was brought into the United States "contrary to law." Merchandise which is introduced or attempted to be introduced into the United States as contrary to law shall be treated as follows: (1) the merchandise shall be seized and forfeited if it – (A) is stolen, smuggled, or clandestinely imported or introduced. In order to exercise the seizure and forfeiture of the Mask, the statute requires pleading the following: (1) facts relevant to whether the Mask was “stolen, smuggled or clandestinely imported or introduced” and (2) facts related to some predicate unlawful offense, presumably a law with some “nexus” to international commerce from which the Title 19 customs regulation arises. The Government’s verified complaint lacks both of these pleading prerequisites. Indeed, the verified complaint fails to state sufficiently detailed facts to support a reasonable belief that the government will be able to meet its burden of proof at trial. The verified complaint does not provide a factual statement of theft, smuggling, or clandestine importation. Rather, the complaint merely states that the Mask was found to be “missing” from Egypt in 1973. Although the Government alleges, in a conclusory fashion, that “the register did not document that the Mask was sold or given to a private party during the time frame of 1966 to 1973,” the complaint is completely devoid of any facts showing that the Mask was “missing” because it was stolen and then smuggled out of the country. The closest the Government comes to any type of allegation of theft or smuggling is in paragraphs 19 and 20 of the complaint, which note that in 2006 “the Egyptian Supreme Council of Antiquities became aware that the Mask was accessioned by the Saint Louis Art Museum . . . and [t]o date, the Saint Louis Art Museum has refused to return the Mask.” The Government’s legal conclusion, in paragraph 22 of the verified complaint, that “[b]ecause the Mask was stolen, it could not have been lawfully exported from Egypt or lawfully imported into the United States,” misses a number of factual and logical steps, namely: (1) an assertion that the Mask was actually stolen; (2) factual circumstances relating to when the Government believes the Mask was stolen and why; (3) facts relating to the location from which the Mask was stolen; (4) facts regarding who the Government believes stole the Mask; and (5) a statement or identification of the law which the Government believes applies under which the Mask would be considered stolen and/or illegally exported. Additionally, as noted previously, the Government has been completely remiss in addressing the law under which the Mask would be considered stolen. The phrase “contrary to law” under § 1595a refers to how merchandise, such as the Mask, is introduced in the United States illegally, unlawfully, or in a manner conflicting with established law. The Government has completely failed to identify, in its verified complaint, the established law that was violated when the Mask was purportedly brought illegally into the United States or purportedly stolen from Egypt or some other undisclosed party, and it has failed to provide any facts relating to the time period surrounding these supposed events. Thus, the Government's verified complaint fails to assert specific facts supporting an inference that the Mask is subject to forfeiture.